Laura Crescimano is a co-founder and leader of SITELAB urban studio. Laura’s work investigates the social and political power of space. Designing both processes and places, Laura’s projects range from Pier 70, where she is leading a multidisciplinary design team through the design and entitlement of a 35-acre mixed-use waterfront development in a historic industrial district in San Francisco, to the Portola Green Plan, where she collaborates with a neighborhood community group to build a vision for their neighborhood, to a graphic toolkit for the homeless services non-profit Lava Mae to open-source their mobile showers and approach to service. Laura serves on San Francisco Waterfront Design Advisory Committee and the board of The Greenhouse Project and, from 2010-2012, on the Board of Directors for AIA San Francisco. Amit is committed to making cities of opportunity and human connection. Over the course of his career, Amit has worked on complex projects at many scales, including several award-winning mixed-use infill urban buildings, and neighborhood master plans in the Bay Area and nationally. 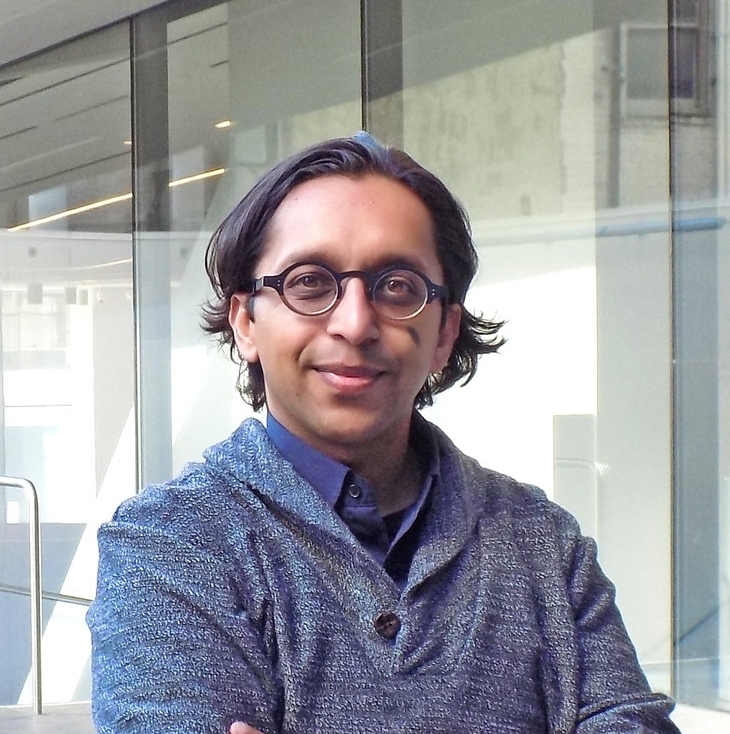 Prior to joining SITELAB, Amit was a Principal and Urban Design Lead at David Baker Architects where he led master planning efforts and designed many urban affordable and market rate housing projects. Amit earned his Masters of Architecture and City Planning degrees from the University of California, Berkeley. He has served as a Design Expert at the Mayors’ Institute on City Design, and the Affordable Housing Design Leadership Institute. Amit is currently active with ULI-San Francisco and is a board member of East Bay Housing Organizations. Michel is an architect and a well-established planner, urban designer and architect. Educated in Canada, The Netherlands and The United States, Michel has over 30 years of work experience throughout North America and around the world. Michel is passionate about creating vital urban places that are sustainable, and provide a model for the growth of a region. He has gained vast knowledge from his hands-on involvement in all aspects of the architectural profession, from strategic and initial concept plans to final master plan implementation. His core strengths lie in establishing an overall design direction and leading complex projects with a wide range of consultant’s involvement, as well as crafting specific design standards. Michel hold a Bachelor of Architecture from the Université de Montreal, a Master in Historic Preservation and a Master in Architecture and Urban Design from Columbia University in New York. Michel has lectured widely in the United States, and abroad on urban design, sustainable development, and low-carbon community design principles. He is a frequent guest critic at UC Berkeley College of Environmental Design. Guneet is continually inspired by cities around the world and how people inhabit them. Her work reflects understanding the built environment as shaped by socio-cultural, political and economic processes, and ranges from the design of the 35-acre Pier 70 redevelopment to a 100-square-foot prototype for the Market Street Prototyping Festival in San Francisco. Guneet has previously worked at GSAPP (Columbia University), Frederic Schwartz Architects (NYC) and MOAD (Chennai). She has served as Teaching Associate at Columbia University, and visiting critic at NYIT, UDL and IIT (Madras). Guneet received her Masters in Architecture and Urban Design from Columbia University (NYC) and Bachelors in Architecture from Anna University (Chennai). With a notion that no site or community begins with tabula rasa, Eri takes a sensible approach to the collaborative and creative process of urban design: synthesizing the story of the place in improving the quality of public realm. Her previous professional experience varies in scale from civic and educational buildings, streetscapes, parks, and campuses to mixed-use neighborhoods at McCann Adams Studio (Austin) and ROMA Design Group (San Francisco). Some of her work focused on finding a new narrative for a site previously occupied by a single typology such as Highland Mall Redevelopment & Mueller Airport Redevelopment (Austin). Eri is a licensed architect (Texas) with Masters in Architecture and Urban Design from Columbia University and Bachelors of Architecture/ minor in Landscape Architecture from the Illinois Institute of Technology. Woody believes in building on the values inherent in people and place, exercising the power of community as the basis for activation and growth. In practice he merges analytical and creative processes, rethinking typology and repurposing precedent to create integrated and inclusive urban environments that are more connected, active and prosperous. Woody’s previous experience includes large-scale multi-disciplinary master plans in the Middle East, Latin America, and California with AECOM. His academic research focused on contested cities where he developed rehabilitation strategies through community engagement, analysis and design as a Fulbright Scholar in Cyprus and a Rotary Ambassador in Northern Ireland. He received a BS (Architecture) from the University of Minnesota and an MSc (Urban Design) from Queen’s University in Belfast. Alyssa believes the process of design is to make connections between people and place through both creative and pragmatic mindsets in hopes to comprehensively shape cities in a socio-cultural way. Alyssa is an urban designer and planner with degrees from the University of Pennsylvania’s School of Design and bachelors of Science in landscape architecture from the Ohio State University. Through her multidisciplinary background, Alyssa aims to test and develop a unique and innovative set of urban design ideas and processes through her work. Prior to joining SITELAB, Alyssa worked as an urban design intern in Philadelphia where she observed and experienced how design can make life better and provide joy in cities and neighborhoods. Mu-Ping strives to cultivate work driven by research, collaboration, and mindfulness in order to both empower local communities and foster sustainable cities. Her holistic approach to urban design stems from her experience with a wide range of project types at various scales. Previous projects include a revitalization of an underutilized site in Downtown Napa’s historic entertainment district, an adaptive re-use of abandoned hangar buildings in the Historic Alameda Point Naval Air Station, as well as the design of interior Apple retail environments with a heavy focus on brand and user experience. Mu-Ping received her Bachelor of Arts in Architecture with a minor in Sustainable Design from the University of California, Berkeley. Nicole is interested in the design’s ability to reveal cultural narratives and spatial boundaries. Nicole holds a Bachelors in Architecture and a Masters in Landscape Architecture. Her Masters capstone project examined the issues facing informal settlements, exploring the spatial organization in a favela in Rio de Janeiro. Her approach utilized vernacular construction methods to design controlled material decomposition of soil cement via plant establishment over time. Nicole was nominated as an Olmsted Scholar in 2017 through the Landscape Architecture Foundation and received a ASLA Student Honor Award the same year. Prior to joining SITELAB, Nicole has worked in offices in St. Louis and San Francisco. Anastasiia focuses on design and policies that promote inclusion in housing and public space, prioritizing growth for broadly shared benefits across communities. Anastasiia brings to SITELAB design experience from award-winning offices including wHY and Kevin Tsai architecture in Los Angeles, where she worked on a cultural center in East Palo Alto and post-industrial developments on Los Angeles River. Anastasiia’s professional experience draws fromprojects that had no predefined scenarios, requiring broad thinking about program and the reinvention of existing urban typologies. She holds her Bachelors and Masters of Architecture in Ukraine and as a Fulbright Scholar obtained her Master of Urban Design and Planning from City University in New York. Ruslan is inspired by people’s innate ability to shape places that reflect values and evoke shared cultural experiences. This power of collaborative placemaking threads through Ruslan’s work of crafting places with aesthetics based on function, performance, and experience at their core. Ruslan’s previous planning and design experience include assignments varying in scales and disciplines including a large-scale, mixed-use Concord Naval Base Reuse project, hospitality projects in Hawaii and Puerto Rico, urban TOD infill in St. Louis, and a technology campus in the Bay Area. Ruslan studied Geography and Biology in his native Belarus, and holds Master’s degrees in City and Regional Planning and Landscape Architecture from Cornell University. John is passionate about working at the intersection of architecture, ecology, and the public realm and is driven to make impact through creative collaboration, thoughtful analysis, and community engagement. With a background in architecture, John has worked with award-winning design firms, Rafael Viñoly Architects (New York) and DIGSAU Architecture + Urbanism (Philadelphia). His design experience ranges from a 120-bed NPPR dormitory for Swarthmore College in Pennsylvania to civic spaces such as the proposed Pier 34 park on the Delaware River in Philadelphia. John studied Biology and Studio Art at Colby College in Maine and earned his Masters of Architecture from University of Pennsylvania School of Design.